This Chair Fired Up My Synapses. When it comes to furniture design, there really haven’t been that many game changers in the last twenty years. Nothing like we saw from the end of the 1940’s through the late 1960’s. Today’s materials, processes, and designs for the most part are based on something that was pioneered by designers from the past. I know a lot of people are going to disagree with me on this, but it is pretty rare when something really new happens in the world of furniture design these days. I think that is why I like “Synapse” from designer Andrew Perkins. This might not be ground breaking, but the use of materials and the structural design of the chair impressed me. 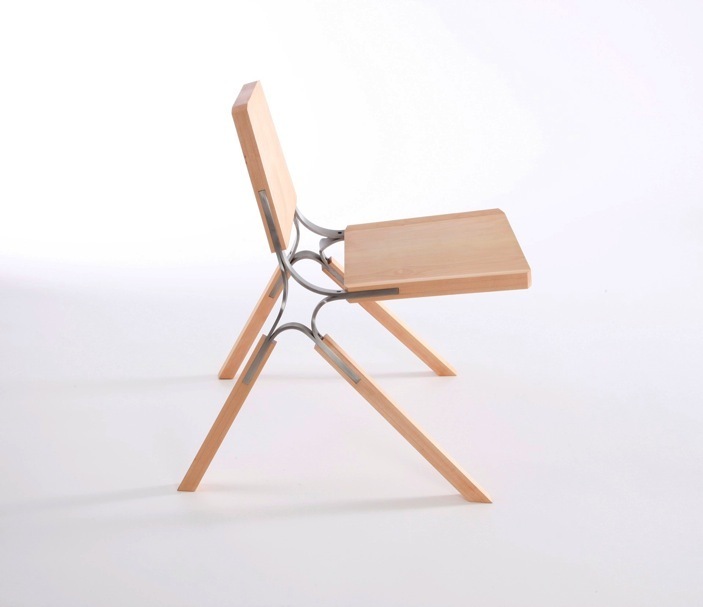 I love the fact that the chair is held together with two stainless steel components, which not only form the joints of the chair, but create a spring like cushion as well. The chair has clean elegant lines. It’s stackable. the choice in materials is wonderful. Attention to detail and construction looks amazing. It might not be earth shattering in terms of new materials, or construction methods, but it is a breath of fresh air in a space that is flooded with spin offs on the same old, same old. 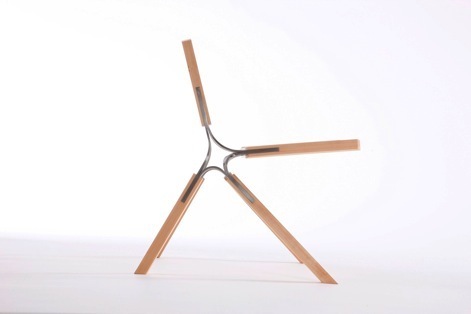 Posted in Design and Art, Furniture and tagged Andrew Perkins, Chair Design, Furniture, Furniture Design, Minimalism, Modern Furniture, Stainless Steel Construction, Synapse, Synapse Chair on February 19, 2012 by Author.